Last week I had the pleasure of being a panelist at the Association for Corporate Growth (Boston) and the Turnaround Management Association (Northeast) joint conference on “Challenges and Opportunities in US Manufacturing.” A theme common to all of the speakers was the need to address workforce issues, whether with respect to training, engagement or transition. The challenges posed by human capital can often propel or derail improvement strategies, yet certain employment law issues are often overlooked or only addressed at the last minute. If in-house counsel are aware that an improvement plan that requires the exit of employees is being considered, the following issues in advance may help alleviate some last minute problems. Be sure that all employees have up-to-date, enforceable post-employment restrictive covenants. After implementing a layoff or termination of employees, the last thing that a company needs is to be surprised by a former employee’s attempt to use the company’s confidential information or goodwill to give a competitor an advantage. Reviewing existing confidentiality, non-solicitation and non-competition agreements for enforceability under applicable state laws, and even considering the company’s plan (and costs) for enforcement of post-termination restrictive covenants, will go far to help avoid unpleasant surprises. For entrepreneurs starting a new business, the focus often is on developing the products or services being offered by the business and, maybe, financing for getting (and keeping) the business off the ground. Yet, regardless of whether the business offers products or services, no business can succeed without people. Therefore, setting up proper intake systems for hiring at an early stage is critical in order to limit exposure to employment issues as the business grows. One easy way to do this is by using a hiring/on-boarding checklist like the one set out below. While this checklist is not intended to be a comprehensive list of issues that all businesses need to consider when hiring, it should provide at least some general guidelines for hiring and on-boarding new employees. Every state has different laws applicable to hiring and on-boarding, so be sure to check your applicable state’s laws. Prepare job application (for Massachusetts employees, you cannot request criminal history information and must include a statement that requesting the candidate to undergo a lie detector test is unlawful). Just as in romance, employer-employee relationships often are at their best in the courting stage. During the after-glow of an initial hire, many employers wish to make new employees feel welcome by sending confirmatory offer letters. Yet, in that warm and fuzzy moment, employers also should keep in mind that they may be binding themselves to certain obligations to which they never intended to be bound. In Part 1 and Part 2 I discussed four steps that I recommend employers follow in using criminal records. Here in Part 3 and the last part of this series, I address the process of the handling of the documents. Limiting the validity of employee or applicant Acknowledgement Forms to 12 months from the execution date or the end of employment, whichever is sooner. In my prior blog post, I provided the first two steps for an employer to obtain and use CORI in Massachusetts based on the new CORI regulations issued on May 25, 2012. This post addresses the next two steps in this process. These blog posts also address when an employer conducts its own CORI checks. However, instead of conducting the background checks themselves, employers may request an outside consumer reporting agency to perform the background checks. If you use or are an outside consumer reporting agency, please note that some of the requirements of the new regulations may be different than described in my blog posts. Once CORI is obtained by an employer, the employer must provide to the employee or applicant a copy of the obtained information and the source of the CORI before making any adverse employment decision based on the CORI, or even asking the employee/applicant questions regarding his/her criminal record. The In-House Advisor was created to provide in-house counsel (as well as CEOs, CFOs and other C-Level decision makers) with practical, helpful and thoughtful advice on a variety of legal issues. 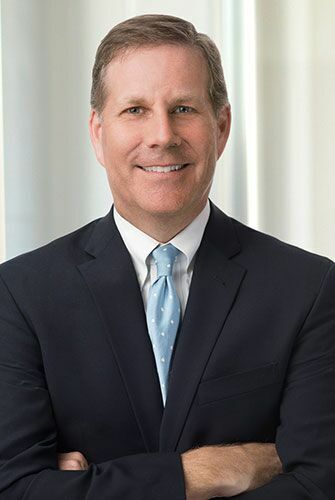 sdavidson@burnslev.com Shep is a partner in and former Co-Chair of the Business Litigation practice at Burns & Levinson, as well as a current member of the firm's Executive Committee. Shep concentrates his practice in the areas of complex business torts, contract claims, real estate disputes, and employment disputes. kkirby@burnslev.com Kelly Kirby is an associate in Burns & Levinson’s Litigation Group. She maintains broad experience practicing before state and federal courts in various jurisdictions, including trial, pre-trial settlement negotiation, mediation, and arbitration. 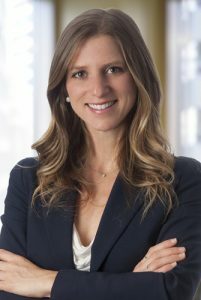 She is adept at preparing litigation plans that provide clients with optimal go-forward strategies and an understanding of the risks and rewards involved with their case. Kelly most enjoys communicating these strategies to her clients, believing that a clear plan diminishes some of the unpredictability associated with litigation. © Copyright 2019, Shep Davidson. All Rights Reserved.